A white man speaking ‘fluent English’ was in charge of an Somali Islamist group al-Shabaab which gunned down at least 60 people in a Kenyan coastal town on Sunday evening, according to witnesses. Several residents in Mpeketoni reported that they saw a pale-skinned man who spoke English and Arabic giving orders to the gunmen. The eyewitness accounts support the theory that the men were sent by al-Shabaab by a seasoned foreign jihadi unit now working with the Somali Islamists. 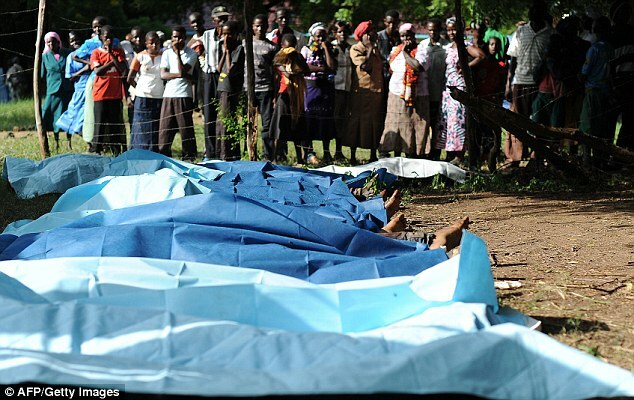 ‘I saw a white man who was speaking in fluent British English commanding the rest of the attackers,’ said Mary Gachoki, a teacher who lives in Mpeketoni and speaks good English told The Telegraph. Today the Inspector General of Police said several people have been arrested including suspected ringleaders. David Kimaiyo also said that someone had been arrested for using social media to say that al-Shabaab was behind the attacks. ‘We have arrested several suspects in connection to Mpeketoni incident including the owner and driver of one the vehicles used by attackers,’ Mr Kimaiyo said on Twitter. Today it emerged that reports 12 women were abducted from the Poromoko district near Mpeketoni were abducted have turned out to be false. Yesterday Kenya’s president said al-Shabaab was not behind deadly attacks on Kenya’s coast, contradicting the militant group’s claims. 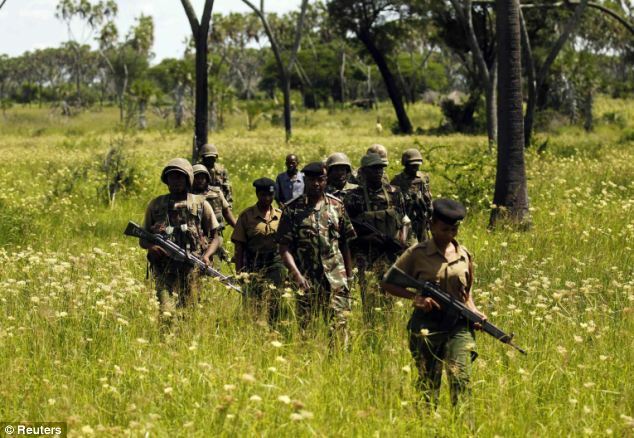 Somalia’s al Shabaab militant group has said its gunmen carried out the attacks on the town of Mpeketoni on Sunday night and on a nearby village early on Tuesday morning. In comments that could further stoke political tensions in a country where allegiances generally run along ethnic lines, President Uhuru Kenyatta instead pointed the finger at rivals he described as ‘hate-mongers’, though he did not name anybody. 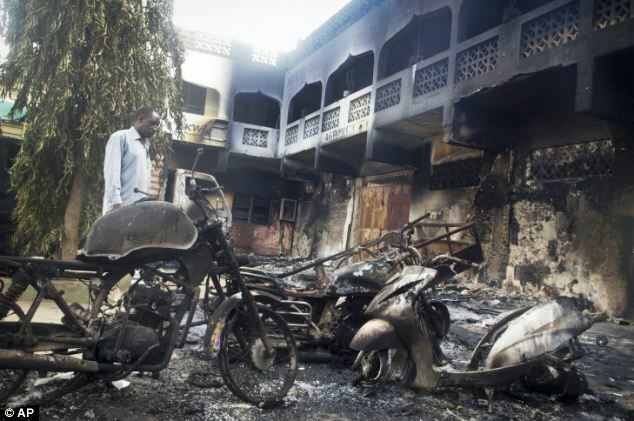 ‘The attack in Lamu was well planned, orchestrated and politically motivated ethnic violence against the Kenyan community,’ Kenyatta told the nation in an address, referring to Lamu county where the two attacks took place. 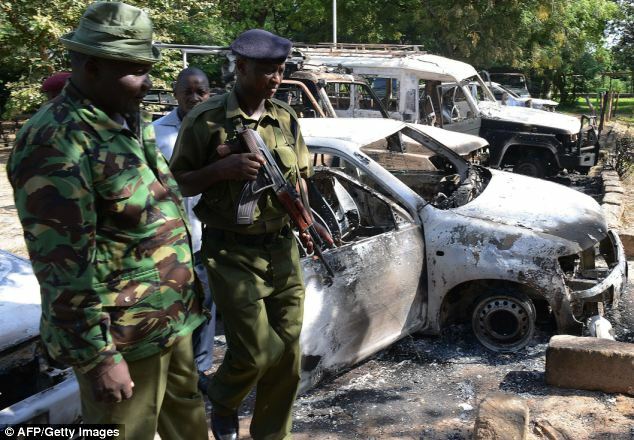 ‘This, therefore, was not an al Shabaab terrorist attack. Evidence indicates local political networks were involved in the planning and execution of the heinous crime. This also played into the opportunist network of other criminal gangs,’ he said. Blaming domestic rivals could ease pressure on Kenyatta’s government, which has faced strong criticism about its handling of security and the threat from Somali-linked militants. Analysts said politicising the issue of security by either side risked undermining efforts to tackle shortcomings. ‘We live at a time when our people are vulnerable to reckless leaders and hate-mongers who manipulate them to create hate, intolerance and fanaticism, which makes them easy prey to radicalisation and crime,’ Kenyatta said in his address. Though Kenyatta, an ethnic Kikuyu, did not mention him, his comments appeared directed at his opponent and main presidential challenger in last year’s election, Raila Odinga, an ethnic Luo, who returned to Kenya in May after a long period abroad. Odinga has been rallying supporters and has urged dialogue with the government. He has condemned the latest assaults. 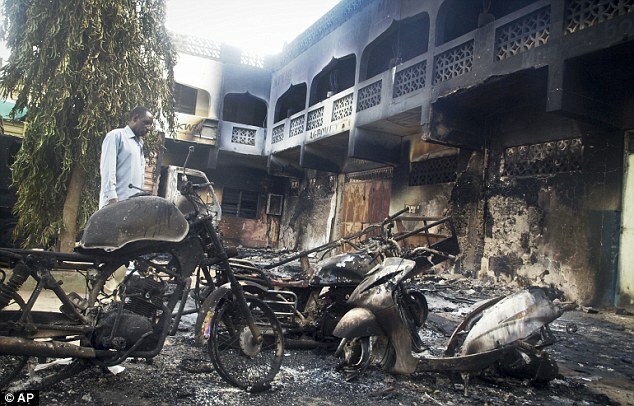 In Sunday’s attack, gunmen stormed Mpeketoni, which lies near the popular tourist attraction of Lamu town, and killed 49 people. Then 24 hours later, gunmen raided nearby Poromoko village, going through the town from house to house and ordering residents to recite an Islamic creed, witnesses said. 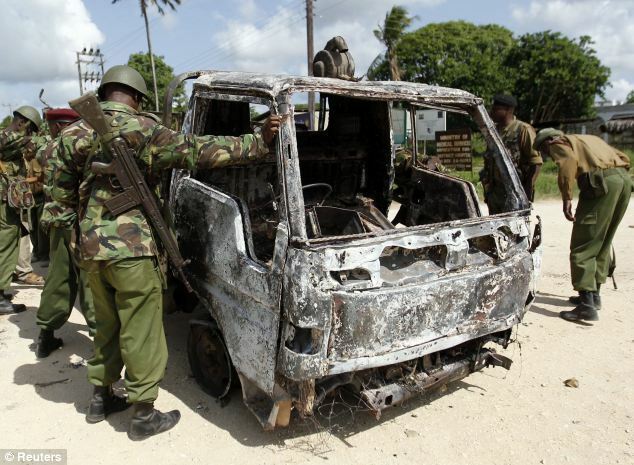 Kenya has blamed al Shabaab for a spate of gun and bomb attacks in recent months. Kenya also holds al Shabab responsible for an attack on Nairobi’s Westgate shopping mall in September last year in which 67 people were killed. Al Shabaab has said its attacks are intended to punish Kenya for sending troops to Somalia to confront its Islamist fighters. 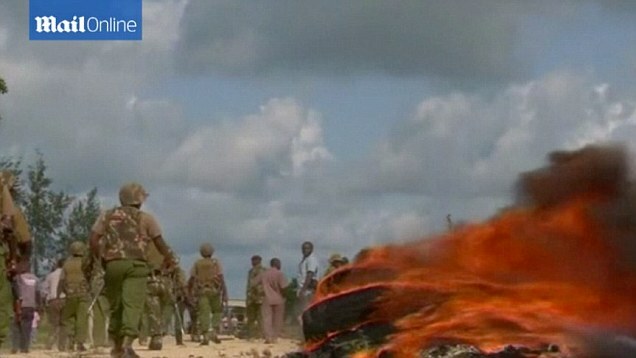 Kenya has previously said it would keep its troops in Somalia. Witnesses in Mpeketoni said they heard the gunmen speak Somali, although that does not automatically link them to al Shabaab as Kenya has a large minority with Somali origins who also speak the language. 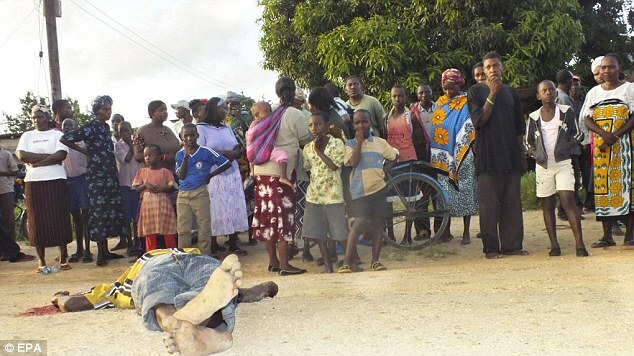 Violence between different ethnic groups is not uncommon in Kenya. Tribes of Somali origin and other ethnic groups have in the past fought over land and other issues, though that has mostly occurred in Kenya’s lawless northern border area. 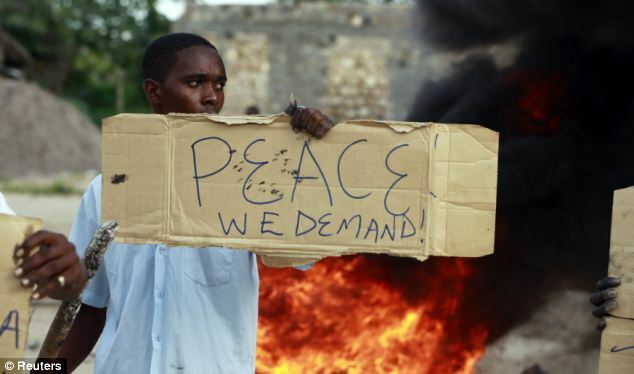 After the 2007 presidential vote in Kenya, ethnic tensions erupted into violence that killed about 1,200 people. The new attacks have fuelled public criticism of the government for failing to do more to improve national security. Interior Minister Joseph Ole Lenku, who has defended his government’s security efforts, has been a particular target for fury. Many Kenyans have said he should have been fired after the Westgate crisis, particularly after soldiers involved in retaking the mall from militants were found to have looted it. 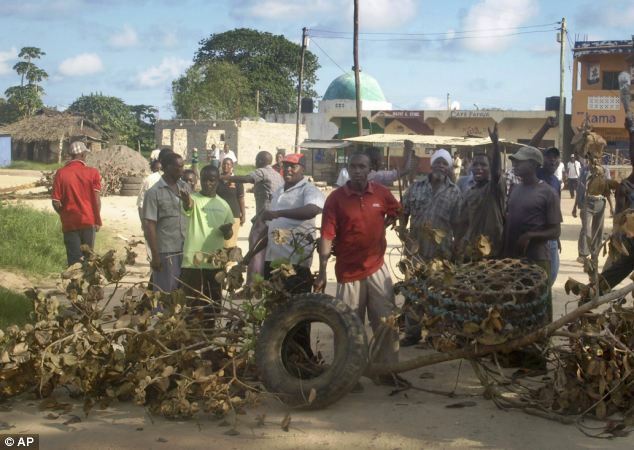 Ole Lenku said he sacked a senior regional officer in Lamu county after this week’s attack. 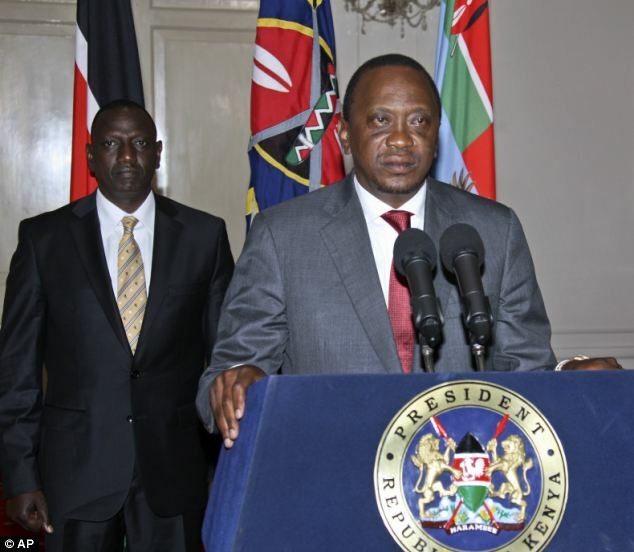 Kenyatta said security officials, who he said ignored intelligence, would face charges. The series of recent assaults have hammered the vital tourist industry, particularly on the coast. Some hotels in the palm-fringed coastal region say they face closure, while others which offer safaris up-country say bookings are down 30 percent – a worrying sign as the July-to-September peak tourist season approaches. ‘This government is full of talk and no action,’ said one angry resident in Mpeketoni, speaking as Ole Lenku arrived in the town on Tuesday. The Red Cross had previously put the death toll for the Mpeketoni assault at 50 but on Tuesday said the total figure was 49. That number did not include victims of the latest attack.